You may need to remove mold from the damp towels that you hurriedly stuffed in your beach bag last weekend. Especially, if you conveniently forgot about them until the smell of mildew got your attention when you opened the trunk of the car to pack for this weekend. Do not throw out the towels just yet, instead follow these steps to remove mold from towels. Shake the moldy towels outside to remove any loose mold spores. Do not shake the towels in your home or mold spores may find places to grow in carpets, crevasses and walls. Lightly brush visible mold off from the fabric. Launder the moldy towels in your washing machine using hot water or the temperature recommended by the manufacturer. Add laundry detergent, Borax and bleach to their proper receptacles in your washing machine and use the normal or cotton, heavily soiled setting for a longer wash cycle. Repeat washing cycle if the towels still have mold spots on them. This time allow the towels to soak for 30 to 60 minutes in the detergent and bleach water, before the rinse and spin cycles. 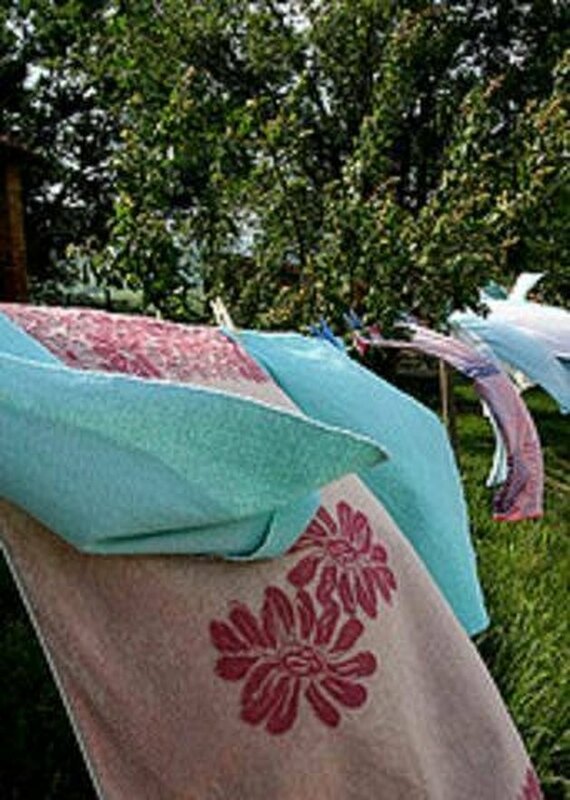 Hang the towels outside in the sunshine to dry completely. The sun helps to bleach out stains and the fresh air helps to eliminate odors. Place the towels in the dryer for five to 10 minutes to soften them after air drying and add a dryer sheet to scent the towels if desired.